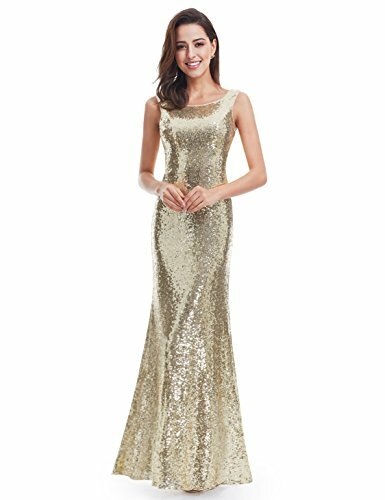 Women’s Gold Long Sequin Prom Party Dresses. With its floor-length skirt and slimming drop-waist bodice, this romantic gown is supremely flattering.A softly draped cowl neckline allows your bare back to shine through for added drama. 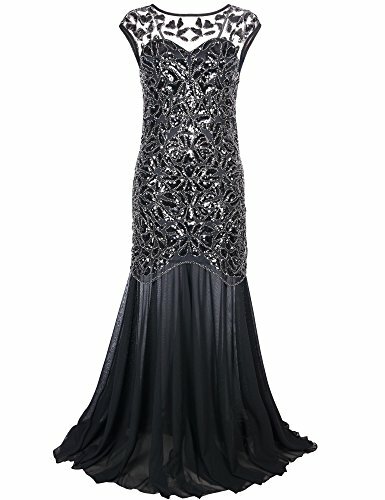 This luxury gold evening gown hugs your curves as it cascades down to pool onto the dance floor. 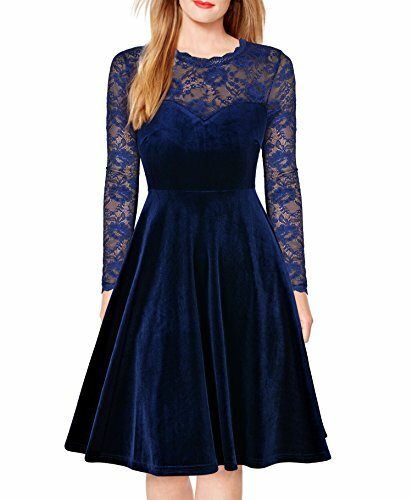 Reminiscent U neck design prom dress hugs your curves. Cowl neckline that gracefully dips at the back shows off your cleavage while rows of opulent sequins define your back and enhance your shape. Allover gold sequins for a subtle shimmer. First, you need measure yourself, not just choosing the size you always chose. Second, you need compare it to the size chart on the left of the product page. Our size is UK size. Please check the size chart on the left of product page .Please allow 1-2 cm slightly manual measurement deviation for the data.